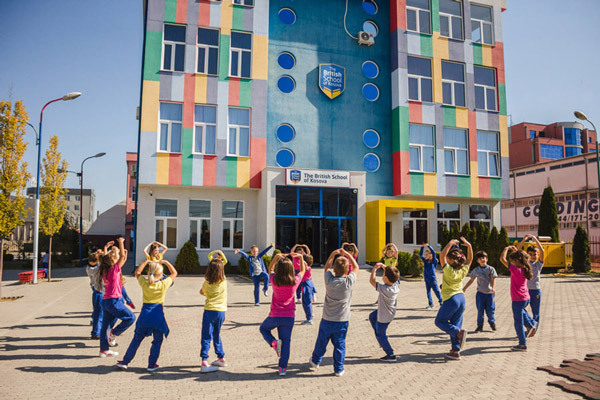 The British School of Kosova contributes towards shaping the young minds and personalities of our students, while also striving to nourish their intellect with knowledge and understanding of the world. With systematic preparation, we are able to instill and develop the principles of humanity , moral accountability, empathy and healthy thinking.This is all for the purpose of creating skilled citizens of tomorrow. We embraced the new methods of educational technology and multimedia, in order to promote student growth, individualized learning and to implant the seed of teamwork. Though monthly research, assessment and evaluation of our teachers and curriculum , we manage to be committed, visionary and success oriented.